In his youth, William Suczek spent years searching for God and for the meaning of life. His prayers and intense austerities, which included vows of poverty, fasting and silence- unusual for a teenager were answered when a friend gave him a copy of Back to GodHead magazine in 1973. As soon as he saw the photo of A.C. Bhaktivedanta Srila Prabhupda the founder of the Hare Krishna movement, he knew that his search was over. The Knowledge in the magazine inspired him so much, that with the help of his mother, he immediately began visiting the ISKCON temple in San Francisco. Within a few months he had moved into the temple to become a full time monk. In a short time he had received initiation from his spiritual master, Srila Prabhupada, and then received the name, Vaisesika Dasa. Since then he has devoted his life to the mission of his spiritual master. He has been continuously reading, studying and distributing to the masses, the Vedic Knowledge contained in the translations and commentaries of His Divine Grace Srila Prabhupada. For thirty-six years Vaisesika Prabhu has been traveling, lecturing, counseling and inspiring devotees and other serious aspirants of spiritual life throughout the world. Recently Vaisesika Dasa has begun initiating disciples into the disciplic succession that has inspired him so, fulfilling the order of his guru-maharaj to perpetuate his teachings and spiritual movement for the uplifting of the whole human society. 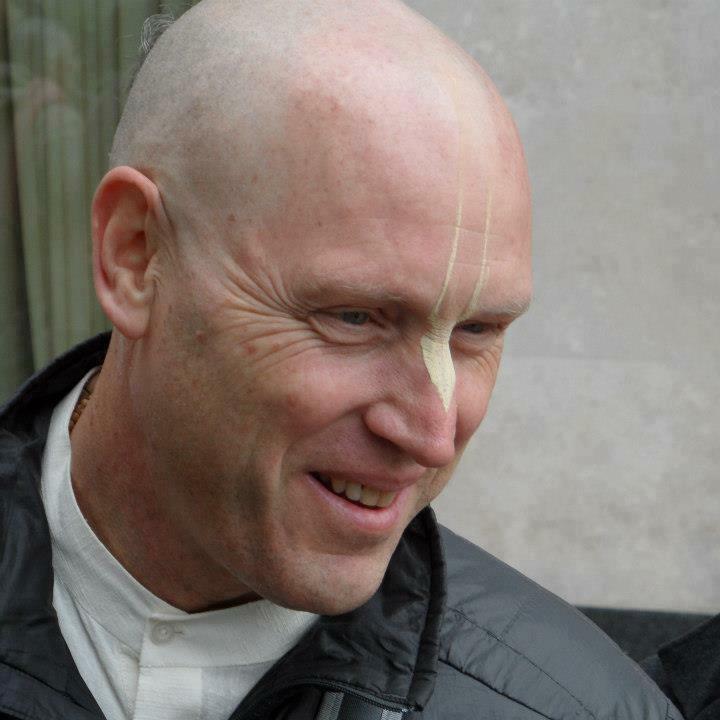 Vaisesika Prabhu is the president of the temple ISKCON Silicon Valley and has implemented many projects there.